One tool to generate new reviews, and then manage, market and analyze them from one place. We make it as easy as possible for your customer to leave their review, by taking them to the precise place where they can write a review. This is important because the easier it is for them, the more reviews you get. A link that you can give customers or share on social media to start generating reviews - they simply select a site based on where you want reviews. 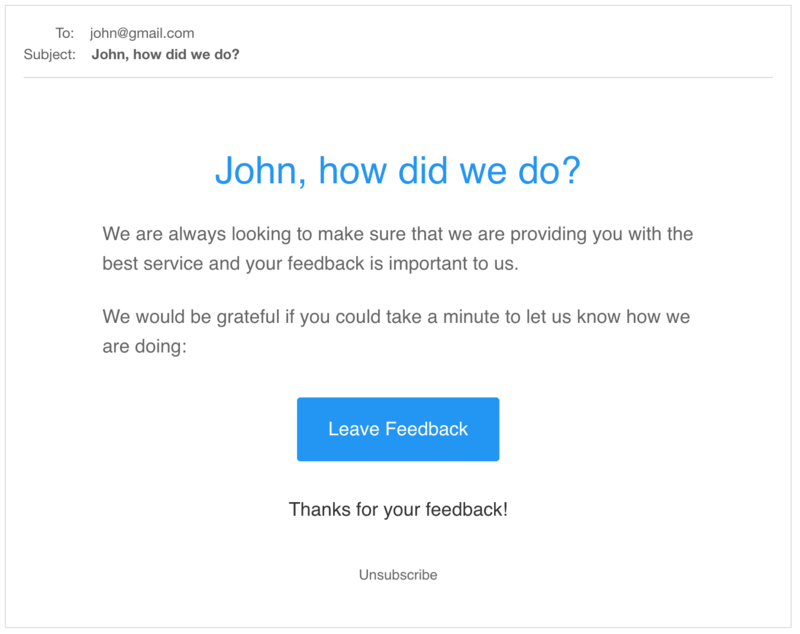 Send an email or SMS to your customers asking them for feedback, individually, by uploading a CSV or fully automated. Sit back and watch the reviews come in. One place for you and your team to manage reviews. Real-time review notifications, so you never miss a review. Manage review responses from one place, with response templates. Build the ultimate social proof, showing off your reviews with embeddable widgets. Dig into what's driving customer satisfaction for your business. Receive daily, weekly and monthly updates on your performance. Easily compare to your competitors in real-time, using their reviews.